Brief Synopsis – A bored businessman sees a beautiful model and decides to try and convince her to have an affair with him. My Take on it – This is a film that I had seen bits and pieces of over the years, but never had a chance to watch it from start to finish before now. It was such a fun film to watch because the situations that the main character gets himself into feel so realistic and could conceivably happen to people we all might know. 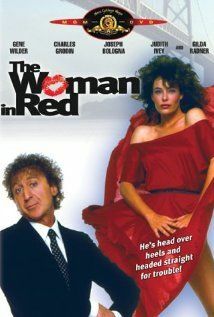 The cast is superb with Gene Wilder, Charles Grodin, Gilda Radner and Kelly LeBrock (in her film debut) all playing their roles amazingly. The balance between comedy and drama works well which makes this film so much fun to watch. The situations that the characters get themselves into all feel quite real even though it is quite hard to stifle constant chuckling as each thing happens because it is truly comic genius. Wilder does triple duty in this film and aptly wrote, directed and starred here. All three aspects were done perfectly right and it’s unfortunate that he didn’t take on these kind of jobs more often. At least we’ll always have this film to watch over and over. Bottom Line – Such a fun film that is perfectly cast with Wilder, Radner, LeBrock, Grodin. The situations depicted feel quite real despite the fact that you constantly chuckle as they occur. Wilder’s triple duties here all pay off because it is written, directly and acted so well. Great music especially the Oscar winning theme song. Recommended!